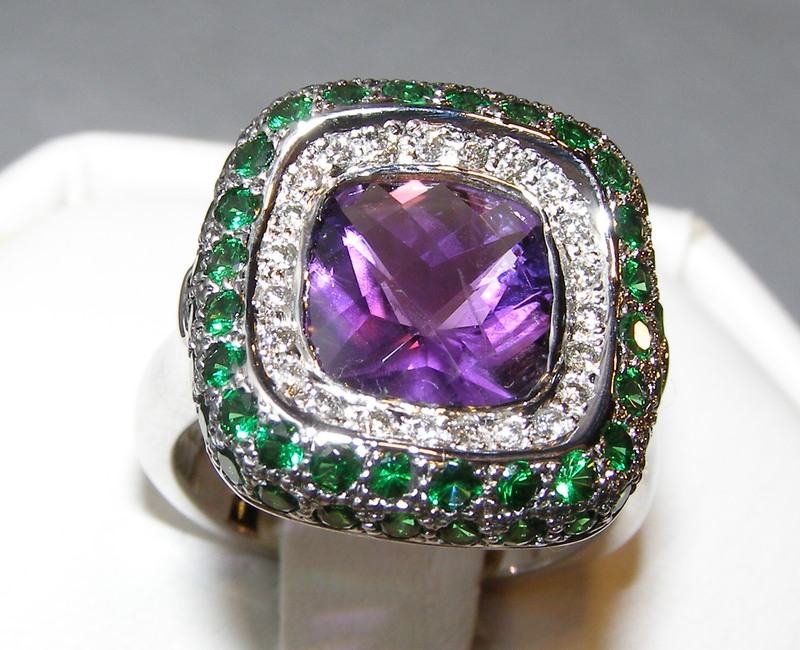 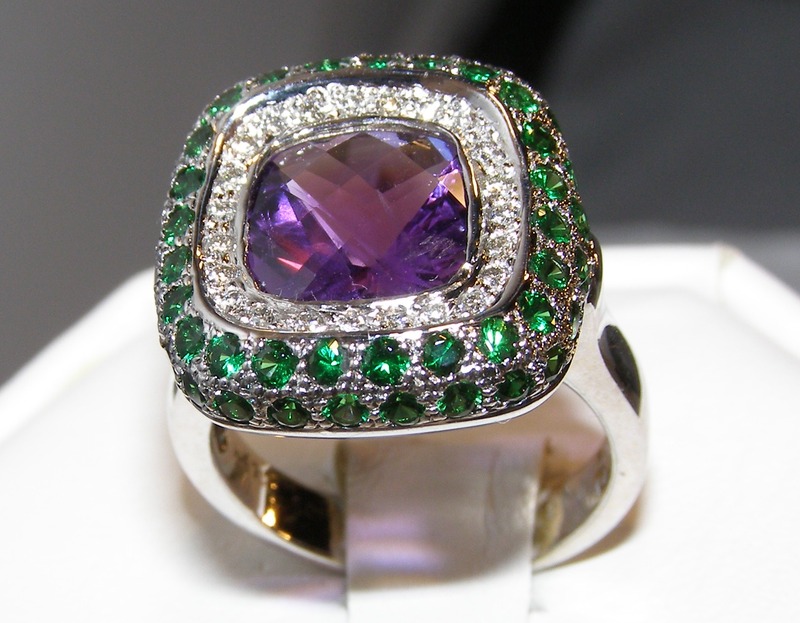 A gorgeous color combination of purple and green results by joining fine quality amethyst with tsavorite. 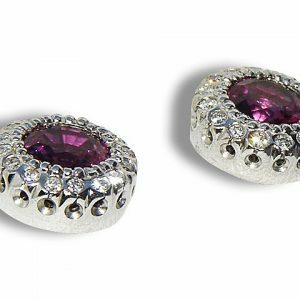 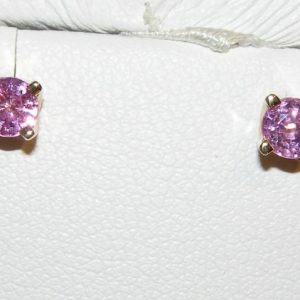 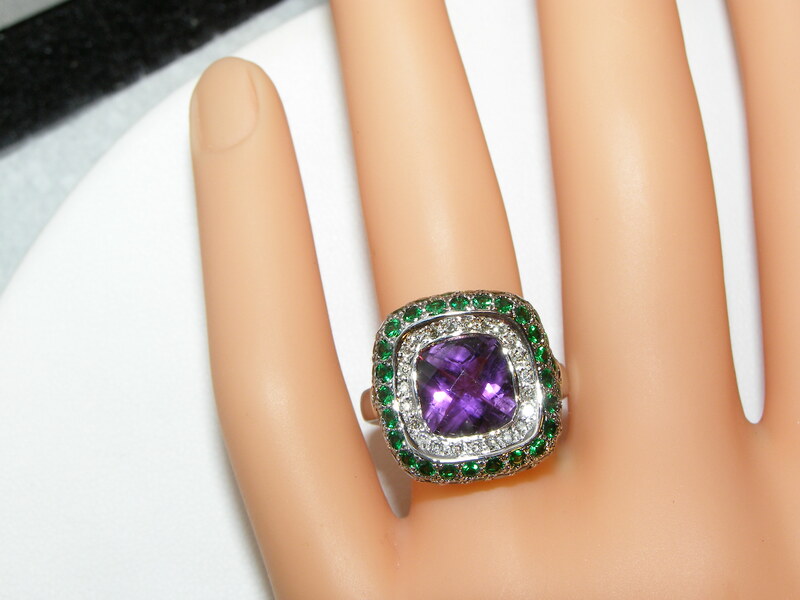 Center bezel set is an 8.0 mm antique square cushion cut Amethyst that weighs 2.00 carats. 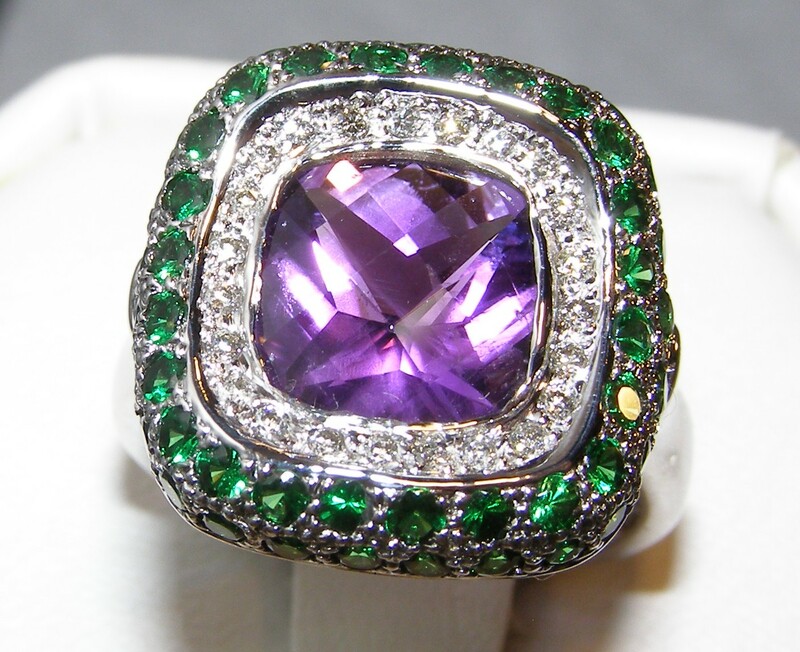 The eye-clean amethyst displays a lovely medium to rich purple color with soft flashes of blue and pink. 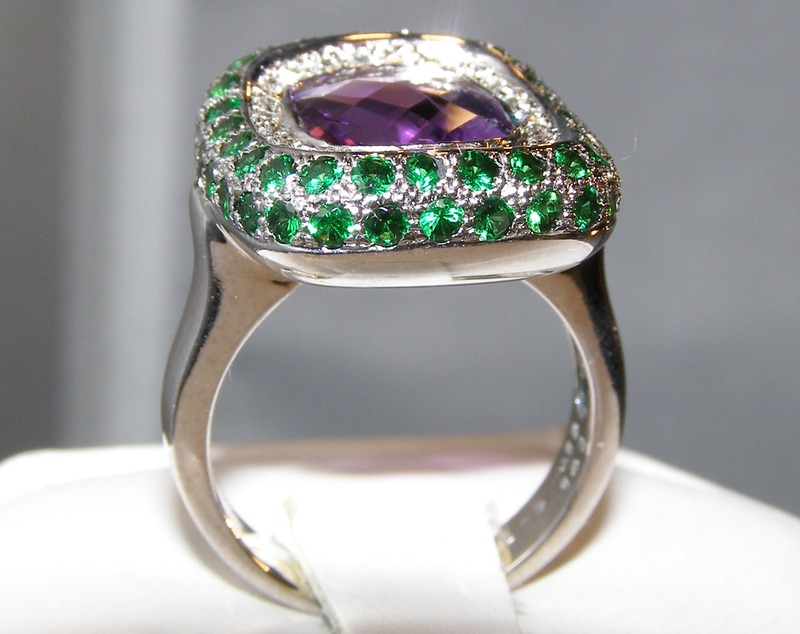 Surrounding the center stone is a halo of pave set round brilliant diamonds that are encased in a bezel. 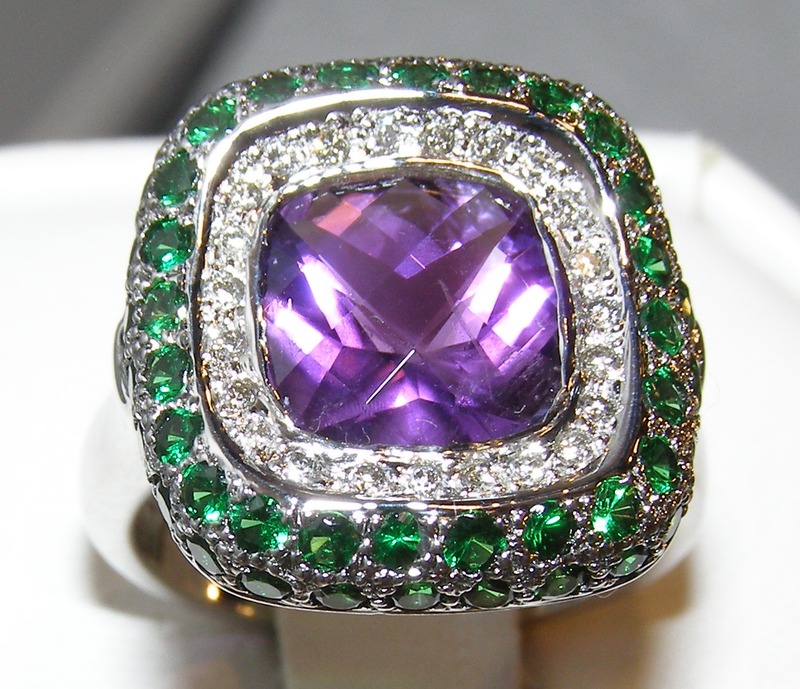 The diamonds are 0.18 carats total weight and SI1 GH quality. 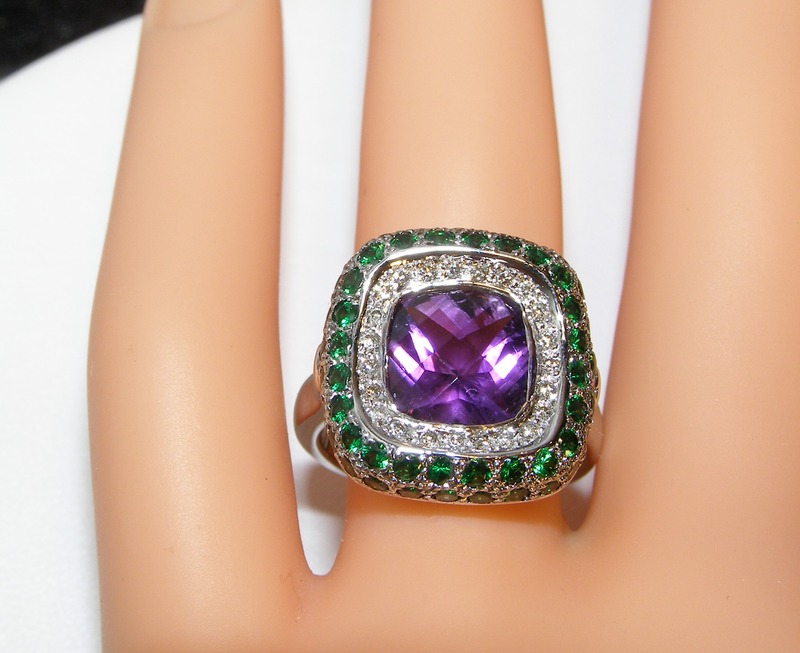 On the outer edge of the ring is an elegant pave set tsavorite frame which includes 3.00 carats of AAA+ rated rich emerald green colored stones.